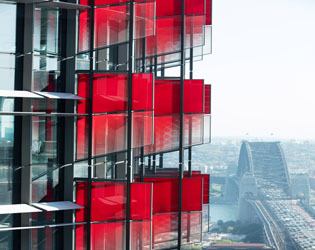 Rogers Stirk Harbour completes skyscraper trio on Sydney's Barangaroo waterfront. The trio’s completion mark a new era of commercial and leisure revitalisation of the old wharf area. 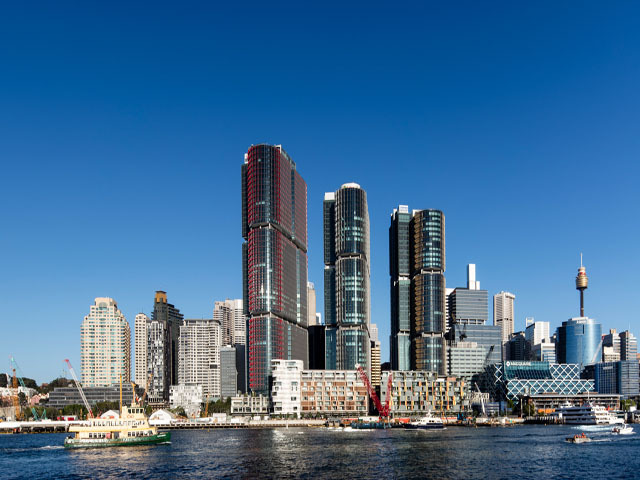 Rogers Stirk Harbour + Partners has completed its International Towers project, a trio of harbourside skyscrapers that form the centrepiece of Sydney's new Barangaroo development. The Barangaroo reclamation and redevelopment has been the largest urban renewal project since the 2000 Sydney Olympics. At the heart of this reclamation of public and commercial space is Roger Stirk Harbour + Partners three towers. Set on a stretch of formerly disused waterfront near the city's central business district, the three skyscrapers provide a new financial services hub for Barangaroo. Each tower is divided up into three stacked sections. These segments have two curved and two straight sides that create oblong floorplans within. The three blocks are positioned on a radial geometry that contrasts the existing gridded urban plan. 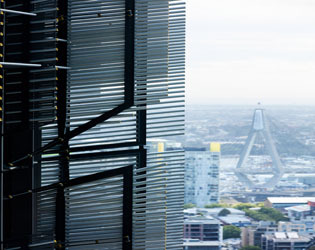 This positioning aims to maximise sunlight and views of the city's western harbour. Red and yellow filigreed fins project away from the facades to shield the glazing from too much direct sunlight. The towers have received the prestigious 6-star Green Star rating from the Green Building Council Australia, and along with the shading utilises a wide spectrum of environmental features including harbour water heat rejection, solar panels, rainwater capture and recycling. In addition, the site features blackwater treatment and a basement that houses parking for three times more bicycles than cars. "Sydney is one of the most magnificent port cities in the world, but historically the city has never reached the waterfront," said studio founder Richard Rogers. "One of the main aims of this project was to extend the CBD down to the waterfront, creating a new district of work and leisure, with 50 percent open space," he continued. "Since the towers have been built, the area has been teeming with people, life and vitality, showing that this was absolutely the right response to the area." Collectively the towers provide 300,000sqm of office space for 23,000 workers. Each of the 2500sqm floorplates is designed to give tenants the flexibility to create individual offices. Occupants include the site's developer Lendlease, Gilbert + Tobin lawyers, HSBC bank and auditor KPMG. Glazed lobbies at the base of each are intended to give the towers a more human scale at street level. The large windows also ensure the entrances are adequately lit and ventilated. "We designed the towers and their surrounding streetscape and waterfront holistically, and have worked to ensure the delivery lives up to that high standard, retaining and enhancing the core place-making concepts that set them apart years ago," said partner Ivan Harbour. Day-lit lift lobbies, panoramic prows, 100 percent fresh air, high ceilings and large open vertical spaces throughout the buildings all combine to promote a state-of-the-art workplace. Future projects are scheduled to further revitalise the area, allowing for occupants of RHSP’s towers to never be far from any of their business and leisure needs.